By now, most people know that osteoporosis isn’t just a female disorder. 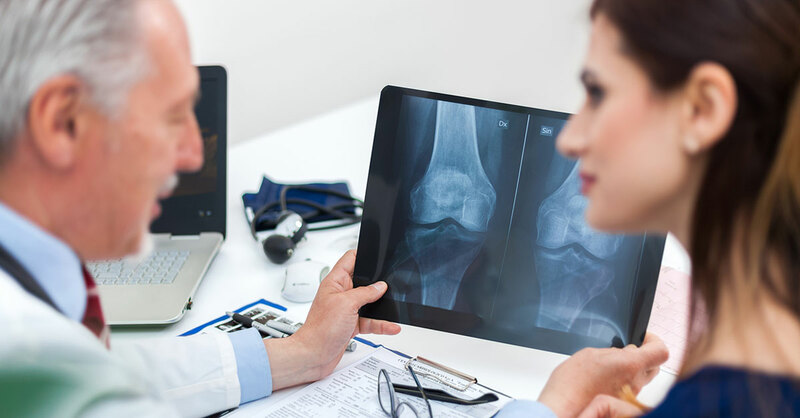 While one in two women over age 50 will experience a fracture related to the bone-thinning disease, as many as one in four men in this age group will as well. This potentially debilitating disease is preventable and treatable—yet few people know all they should about the most effective screening methods for the disease. In women and men, bone loss occurs with age. In women, bone loss is accelerated by menopause (due to declines in estrogen levels). Broken bones. Screening is recommended when a fracture occurs for any reason—fractures that occur from falls are often misinterpreted as being related to trauma, when osteoporosis may play a role. Spinal fractures. A vertebral fracture assessment looks for hidden spinal fractures…a good indication that you have osteoporosis and need further treatment. If you notice a loss in height (1.6 inches in women), a change in posture or backaches, it could signal a vertebral compression fracture. Even small and previously unnoticed spinal fractures greatly increase the risk for additional fractures—in the spine and elsewhere. Medical history. Diseases that can accelerate bone loss include diabetes, rheumatoid arthritis, inflammatory bowel disease, celiac disease and neurologic disorders (such as stroke or Parkinson’s disease). These diseases may lead to the release of certain chemicals, poor nutrition (low calcium and vitamin D) or a sedentary lifestyle, all of which promote bone loss. Use of certain medications. Oral corticosteroids, such as prednisone, and androgen deprivation drugs used by prostate cancer patients may lower bone mass substantially. Other medications that may cause bone loss include certain aromatase inhibitor drugs taken for breast cancer, such as anastrozole (Arimidex)…some antidepressants, such as fluoxetine (Prozac)…and proton pump inhibitors (PPIs), taken for acid reflux. People who are age 50 or older and are taking—or about to start taking—any of these medications should have a bone density test. If you’ve been taking PPIs regularly, you may need to be screened at an earlier age. Vitamin D insufficiency. Only recently have doctors come to appreciate that vitamin D is at least as important as calcium for maintaining bone health. A blood test is used to measure vitamin D levels. For adults age 50 and older, the National Osteoporosis Foundation recommends 1,200 mg of calcium and 800 international units (IU) to 1,000 IU of vitamin D daily. Note: It’s better to get your required calcium from your diet rather than from supplements. Lifestyle factors. Smoking and excessive alcohol intake (more than two drinks a day for men and one for women) also cause bone loss. The best bone test is dual-energy X-ray absorptiometry (DXA), which uses minute amounts of radiation to measure bone density. The standard procedure, central DXA (cDXA), measures the lower spine, hip and narrowest part of the hip bone (the femoral neck). What it involves: While you are clothed and lying on your back on a table, a machine takes images of your spine, hip and femoral neck. The test lasts about five minutes, costs about $135 and is virtually risk-free. If you have osteoporosis or are at risk: Get tested every one to two years. If an initial screening shows that your bones are well-preserved, get tested every two to four years. Most insurers cover the cost of cDXA when it is ordered by a doctor. Results of cDXA testing give an accurate estimate of how likely you are to sustain a fracture of the hip or spine (the most common sites) or elsewhere in the body. Hip fractures, in particular, can be life-threatening—long-term immobility that occurs during recovery can allow pneumonia to develop or blood clots to form in the leg veins or lungs—and they are the most common cause of nursing home admissions. Note: Although the cDXA is the most accurate test, you can still be diagnosed with osteoporosis if you have hip or spinal fracture and your bone density is normal…or if you have osteopenia (low bone density—see below) plus a fracture in adulthood. Peripheral DXA (pDXA). This test uses the same technology to examine bone density in the heel, wrist or finger. These measures are useful, but hip measurements are better—hip fracture is the most important fracture to try to prevent. Bone test results are usually expressed as a T-score, which compares your bone mineral density (BMD) to someone with optimal bone density. A score of –2.50 or lower means bone density is substantially below optimal (osteoporosis). The risk for fracture is sufficiently high to require some sort of therapy, such as osteoporosis medication, including bisphosphonates (Fosamax or Actonel), denosumab (Prolia) or bone-building drugs such as teriparatide (Forteo). In some rare cases, these drugs have been linked to an unusual thighbone fracture and a jaw condition when used for an average of seven years. However, the drugs’ benefits outweigh their risks for most osteoporosis patients. BMD of –1.0 or higher is considered normal. Between –1.0 and –2.5 means “low bone mass” or osteopenia, which indicates a high risk for osteoporosis, although you don’t necessarily need to be treated. How likely you are to suffer a fracture and whether you need treatment to prevent osteoporosis will depend on such factors as your personal medical history, family history, age and weight. *To calculate your body mass index, go to the website of the National Heart, Lung and Blood Institute.